Welcome to Lowell College, University of Mars! 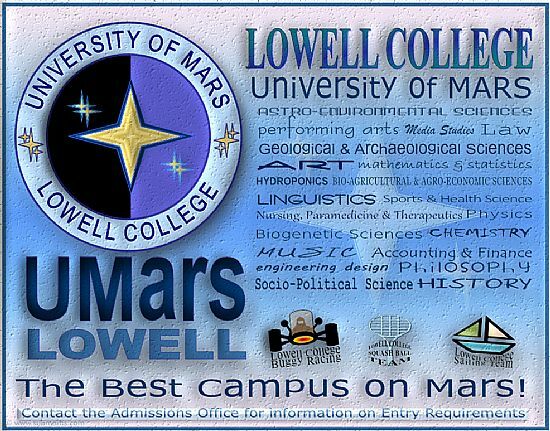 LOWELL COLLEGE is a constituent College of the University of Mars. We are dedicated to giving our studen ts solid grounding in abilities that will enable them to take their places as highly skilled citizens of Mars by offering an education that is both first rate and highly sought after. Our motto, Per Scientia Ad Astra, means Through Science to the Stars, and an education at UMars Lowell College will enable you to take on the planet! Lowell College is the ideal place to pursue your chosen career or to find a career that fits you, thanks to our peerless academic programmes and facilities and our accomplished and committed staff and faculty members. Lowell College is home to several major arts and research groups. For example, the well-known Amberline Research Group, with several site stations in both hemispheres, is the main Geology-Astrobiology Group within our Astro-Environmental Sciences Division. See the campus of Lowell in its Central Dome setting in Lowell Dome Complex [PDF campus map]. The main entrance, with its imposing glazed facade, is close to Halley Street [PDF entrance]. When you're not in the lecture theatres, laboratories or simulation suites or out in the field there's a lot to do at Lowell. 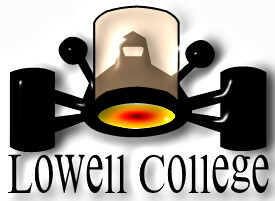 For example, you can join one of the many Student Societies or, for those with more athletic tastes, the Lowell Dune Buggy Racing Team, which practises regularly on our own sand-plain race track and out on Aonium Planum, is the Red Planet's most successful College Squad. Despite all the socialising, students still have to work: progression to a degree depends upon passing regular Assessments and achieving the required grades. Students achieving passes in Assessments can obtain either the holo or the plas-sheet of their certificates. See an example (PDF) of a Lowell College Certificate HERE. Let us welcome you to Lowell College! Please Contact the Admissions Office for more information on Entry Requirements. For Media Information, contact the Press Office. 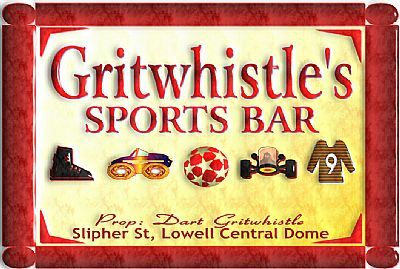 This page is proudly spo nsored by Gritwhistle's Sports Bar! For the best in sports holos every sol, from early until late! Find us on Slipher Street, only a short walk from Lowell College, In Lowell Central Dome (Grid Ref F10 on PDF Guide). All welcome! Your proprietor is ex-champion kick-wrestler Dart Gritwhistle!